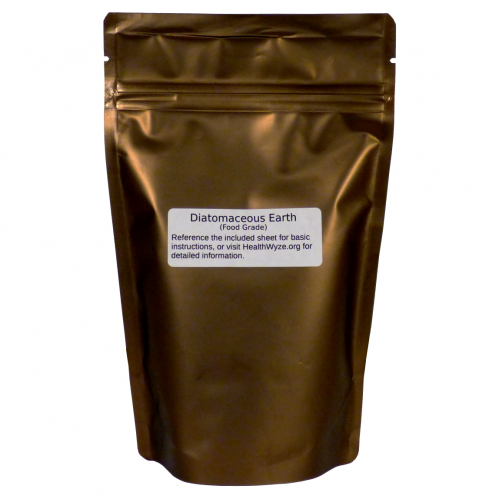 Diatomaceous earth is the most effective anti-parasitic substance and it is natural. Even the strongest pharmaceuticals cannot match its effectiveness in killing internal parasites system-wide, and the "drugs" (poisons) certainly cannot match its safety. It is a fine, abrasive, white powder (like baking soda) that absorbs large amounts of water. It is comprised of fossilized diatoms, a prehistoric algae. Its unique mineral composition makes it a potent and natural insecticide, but it is relatively harmless to humans and pets. It is believed to kill insects, worms, and internal parasites primarily by dehydrating them. Whenever the powder contacts parasites, its microscopic, razor-sharp edges grate against them and it dehydrates them simultaneously. Our research indicates that it will even kill blood-borne parasites. Most credible sources estimate that more than 80% of people have parasites, for all that is needed to acquire parasites is a trip to the wrong restaurant. Therefore, we generally recommend a parasite cleanse at least once per year. Diatomaceous earth is the most thorough of the natural options, and its effectiveness vastly surpasses the super-toxic pharmaceutical options, which are prone to causing liver failure (death). This glaring safety issue with the available drugs (eg. death) is one of the reasons why doctors so rarely prescribe antiparasitics, or even admit the possibility of parasites in their patients. It's the "just look the other way" approach to medicine. Doctors typically feel that it is better to just let the parasites live than risk destroying a patient completely with their drugs. Our diatomaceous earth is procured by the PermaGuard company, which mines it from freshwater diatom deposits. There are 600 diatom deposits throughout the United States, but only 4 of them are considered to be pure enough to produce food grade diatomaceous earth. PermaGuard exclusively uses these four ultra-pure deposits. 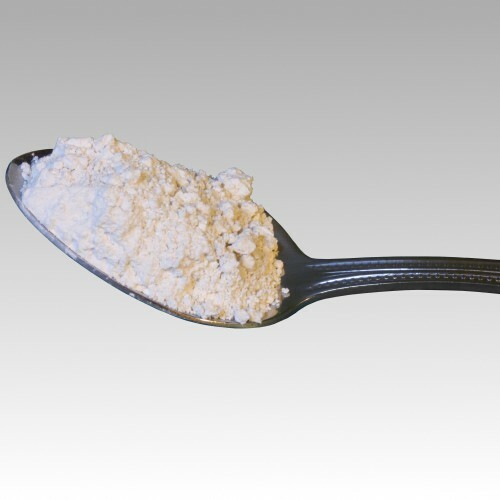 Diatomaceous earth products for human consumption (food grade) should always be an almost pure white, as is shown in our product picture. Many sellers provide contaminated diatomaceous earth, which is a dark gray or even reddish. Thus, many of the competing products which purport to be "food grade" diatomaceous earth really are not. The color differences indicate that their D.E. powder contains high quantities of impurities, such as toxic heavy metals. Such products should be avoided for use with humans or animals. Our brand of D.E. is truly food grade. In laymen's terms, this means that our D.E. is equally effective and considerably safer than those of the other types. One may notice that most of the other D.E. products that are found elsewhere show no pictures of their powder, and this is a terrible sign. Almost every competing product claims to be "food grade", but it really is like a game of Russian roulette in the market. Adults should mix 1 level tablespoon of diatomaceous earth powder with at least 8 ounces of juice, then consume. For children, use 1 teaspoon for every two feet of height. Do this once a day for 7-10 days. Drink plenty of fluids, because diatomaceous earth is dehydrating. Using this natural substance, cats and dogs can be more effectively dewormed, at any age, and without risks. Based on our research, we suggest following a deworming regimen for 10 days. During this time, animals will usually drink more, due to the dehydrating effect of the diatomaceous earth. Please ensure that they are provided with plenty of water. A little common sense and the table to the right should help to provide guidance. As parasites die, they release toxins through their excrement and from rotting. The most common category of parasites, the worm type, attempt to escape by burrowing deeper into the intestines, which can cause sharp cramps. Even when dead, the body is still burdened with the task of flushing them out. This whole process can make a person feel sicker than he was before he began the cleanse, but this is only temporary, and it is a sign that the cleanse is working. It is known as a Herxheimer reaction whenever people become sicker as a result of dying parasites. It usually happens on the third or fourth day. While fatigue and irritability are to be expected, normal life may be continued, and diarrhea should not occur. Eat a good, wholesome diet throughout the cleanse to ensure that your immune system is not overtaxed. We advise everyone to buy only truly food grade diatomaceous earth for human and animal consumption. The industrial diatomaceous earth that is used for swimming pool filters is chemically treated, and it is not safe to consume. Diatomaceous earth always contains some heavy metals as part of its mineral content, but it also contains selenium which allows otherwise accumulative heavy metals to be safely flushed from the body. Therefore, it is not really a health concern, despite the trace presence of aluminum and lead; unless the metal content is excessive as it is in some brands. Nevertheless, we recommend taking selenium supplements for a week after discontinuing this product to ensure that the body neutralizes/flushes leftover metals. Concerned individuals may follow their parasite cleanse with a metal cleanse. Outstanding information about how to perform a thorough metal cleanse can be found in our cleansing article. Be sure to drink plenty of fluids, because D.E. will considerably dehydrate a person. If the person or animal does not consume enough fluids while using diatomaceous earth, it can put great stress upon the kidneys, and it can even lead to kidney stones. Drinking homemade lemonade every day would be of great benefit for human patients. 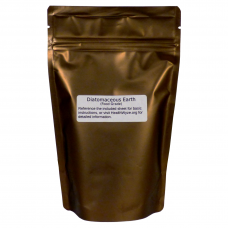 Diatomaceous earth is not bentonite clay. One should never internally consume bentonite clay for any reason. Diatomaceous earth should always be mixed into a fluid or moist food, otherwise it is likely to get accidentally inhaled. Inhalation is harmful to the lungs. We cannot promise that this product will successfully work as expected for any particular individual or animal. However, it has an exceptional record. It is unwise to use diatomaceous earth (or any other product) as a silica supplement. Silica is not actually a nutrient. This product is not for long-term usage. It is not a supplement. Prolonged use of this product risks kidney damage and heavy metal toxicity. Contains: Enough for five 10-day cleanses.